Interim hearings are ongoing at the Texas Capitol. Committees in the Texas House and Senate are meeting to hear testimony from invited witnesses on various topics assigned by the Speaker and Lt. Governor. Reports are due to the presiding officers of both legislative bodies in December. Legislation often results from these hearings. The Texas Legislative Reference Library maintains a list of interim hearings each week on their website – http://www.lrl.state.tx.us/index.cfm. This website also has a list of all the Interim Charges in both the House and the Senate. Monday, April 28th is the last day to register to vote for the May 27th primary runoff election. If a voter voted in the primary election on March 4th, the voter must vote in the same political party runoff election. If a voter did not vote in the primary election, the voter may still vote in the runoff election and for the party of their choice. 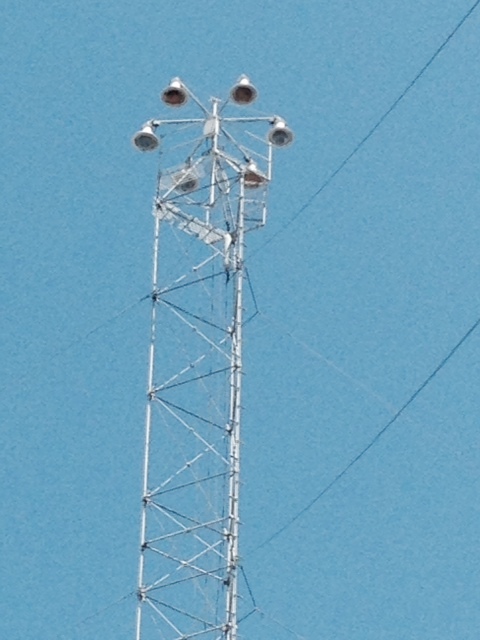 Only in Austin: Moonlight towers are lighting structures designed to illuminate areas of a city at night. They were common in the 1880s and 1890s in cities located in the United States and Europe. 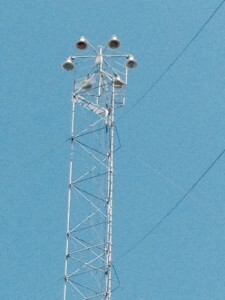 The City of Austin purchased 31 used moonlight towers from Detroit in 1894. Austin still has 17 towers although only six remain in their original locations. The towers are registered as Texas State Landmarks and are listed in the National Register of Historic Places. One of the original towers is pictured below. It is located around the corner from our office at the intersection of San Antonio Street and 15th Street. Come see us and a piece of Austin’s history.